The Austrian Netherlands in 1789. The Austrian Netherlands (Dutch: Oostenrijkse Nederlanden; French: Pays-Bas Autrichiens; German: Österreichische Niederlande; Latin: Belgium Austriacum) was the larger part of the Southern Netherlands between 1714 and 1797. The period began with the acquisition of the former Spanish Netherlands under the Treaty of Rastatt in 1714 and lasted until its annexation during the aftermath of the Battle of Sprimont in 1794 and the Peace of Basel in 1795. Austria, however, did not relinquish its claim over the province until 1797 in the Treaty of Campo Formio. 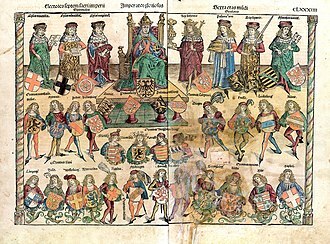 The Austrian Netherlands was a noncontiguous territory that consisted of what is now western Belgium as well as greater Luxembourg, bisected by the Prince-Bishopric of Liège. The dominant languages were German (including Luxembourgish), Dutch (Flemish), and French, along with Picard and Walloon. As a result of the Barrier Treaty, the Holy Roman Emperor Charles VI showed little apparent interest in the day-to-day rule of the Austrian Netherlands; yet he insisted on keeping ultimate control of the territories concerned. This caused quite a lot of frustration with Austria's own inhabitants, especially because the Dutch troops were paid with money that needed to be raised from the Austrian Netherlands themselves. The war of 1740-1748 showed that Austria already had little interest in maintaining the Austrian Netherlands: constant bickering among the Allied commanders meant the French kept the initiative during the campaigns, and the fortifications, manned with mostly Dutch troops, were captured with ease by the French army. Although the Treaty of Aix-la-Chapelle had stipulated that the Barrier towns should again be manned by Dutch garrisons, Charles's daughter and successor Maria Theresa, advised by her counselor Kaunitz, refused to pay for those troops any longer, unless there were to be negotiations about new trade agreements. 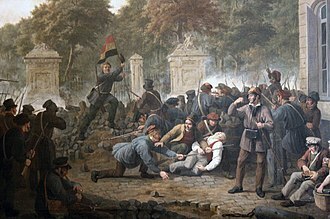 In the end, the Republic refused to pay for the rebuilding of the fortifications and send any troops, but with the Barrier towns in ruins and the Netherlands now open for a new invasion, she had little to offer. When Austria and France entered into an alliance in 1756, there was in effect no purpose in the Barrier treaty any more. 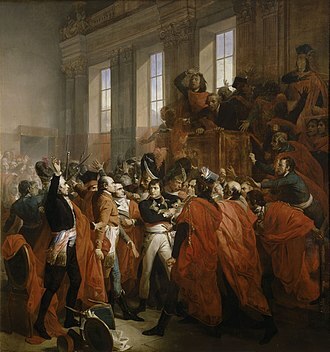 In 1781, Emperor Joseph II of Austria unilaterally renounced the treaty. Map of the Austrian Netherlands, bisected by the Prince-Bishopric of Liège. Charles VI attempted to use the Austrian Netherlands to compete with British and Dutch traders in an enterprise known as the Ostend Company. Throughout the latter part of the eighteenth century, the principal foreign policy goal of the Habsburg rulers was to exchange the Austrian Netherlands for Bavaria, which would round out Habsburg possessions in southern Germany. In the Treaty of Versailles of 1757, Austria agreed to the creation of an independent state in the Southern Netherlands ruled by Philip, Duke of Parma and garrisoned by French troops in exchange for French help in recovering Silesia. 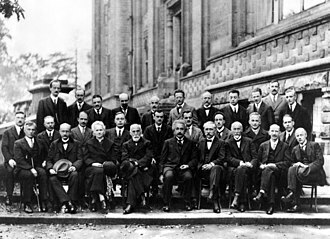 However, the agreement was later revoked by the Treaty of Versailles of 1758 and Austrian rule continued. In 1784 Joseph II did take up the long-standing grudge of Antwerp, whose once-flourishing trade was destroyed by the permanent closure of the Scheldt, and demanded that the Dutch Republic open the river to navigation. However, the Emperor's stance was far from militant, and he called off hostilities after the so-called Kettle War, known by that name because its only "casualty" was a kettle. 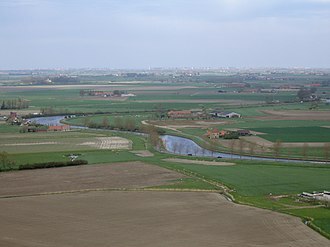 Though Joseph did secure in the Treaty of Fontainebleau in 1785 that the Southern Netherlands would be compensated by the Dutch Republic for the continued closing the Scheldt, this achievement failed to gain him much popularity. By mid-1790, Habsburg Austria ended its war with the Ottoman Empire and prepared to suppress the rebels. The new Holy Roman Emperor, Leopold II, was also a liberal and proposed an amnesty for the rebels. After defeating a Statist army at the Battle of Falmagne, the territory was soon overrun and the revolution was defeated by December. The Austrian reestablishment was short-lived, however, and the territory was soon overrun by the French during the French Revolutionary Wars. Philippe von Cobenzl, vice Chancellor of the Imperial Council of State. the Count of Woestenraedt, Imperial Lord Chamberlain. the Prince of Gavre: Grand Marshall of the Imperial Court of the Archduchess. 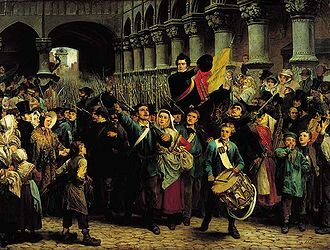 In 1794, the armies of the French Revolution annexed the Austrian Netherlands from the Holy Roman Empire and integrated them into the French Republic. 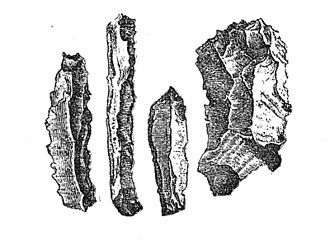 The Treveri or Treviri were a Belgic tribe who inhabited the lower valley of the Moselle from around 150 BCE, if not earlier, until their eventual absorption into the Franks. Celtic in language, according to Tacitus they claimed Germanic descent, although early adopters of Roman material culture, the Treveri had a chequered relationship with Roman power. 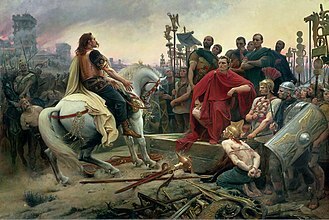 Their leader Indutiomarus led them in revolt against Julius Caesar during the Gallic Wars, much later, during the Crisis of the Third Century, the territory of the Treveri was overrun by Germanic Alamanni and Franks and formed part of the Gallic Empire. Under Constantine and his 4th-century successors, Augusta Treverorum became a large, rich, during this period, Christianity began to succeed the imperial cult and the worship of Roman and Celtic deities as the favoured religion of the city. Such Christian luminaries as Ambrose, Martin of Tours, among the surviving legacies of the ancient Treveri are Moselle wine from Luxembourg and Germany and the many Roman monuments of Trier and its surroundings, including neighbouring Luxembourg. 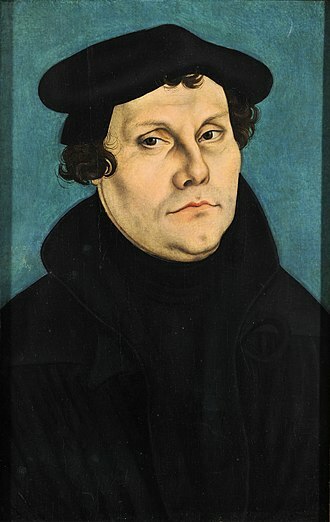 The spelling variants Treveri and Treviri are found in Latin texts from the time of Caesars De Bello Gallico to Tacituss Annales, Latin texts are in general agreement that the first vowel, however, is -e-. For their part, Ancient Greek texts mostly give Τρηούϊροι, variants such as Treberi and Τρίβηροι appear in Pliny and Ptolemy, respectively. A few highly deviant variant forms are attested, Τριήροι in Ptolemy. The name has been interpreted as referring to a river or to crossing the river. They had a goddess of the ford called Ritona and a temple dedicated to Uorioni Deo. treuer- can be compared with the Old Irish treóir guiding, passage through a ford. The first syllable is long and stressed in Latin dictionaries, according to its Celtic etymology. The city of Trier derives its name from the Latin locative in Trēverīs for earlier Augusta Treverorum, in the time of Julius Caesar their territory extended as far as the Rhine north of the Triboci, across the Rhine from them lived the Ubii. 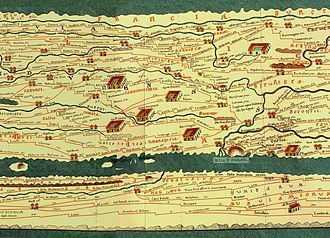 Caesar mentions that the Segni and the Condrusi lived between the Treveri and the Eburones, and that the Condrusii and Eburones were clients of the Treveri, Caesar bridged the Rhine in the territory of the Treveri. Modern reconstruction of Treveran dwellings at Altburg. The Porta Nigra, originally one of several monumental gates of Roman Trier. 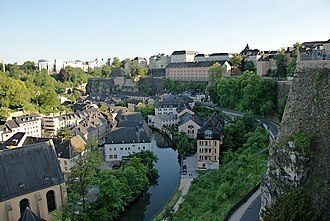 A view of the Titelberg in present-day Luxembourg, 'capital' of the pre-Roman Treveri. Treveran stater, gold, 6.00g. Monnaie de Paris. 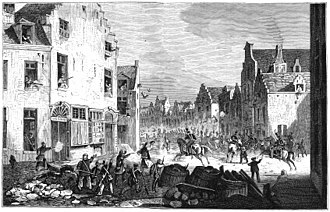 Destruction of the Cathedral of Saint-Lambert by revolutionaries. The Battle of Fleurus in 1794 pushed the Austrians out of the territory for the last time. Silver coin of Louis de Bourbon, dating to 1465. The re-erection of the Liège Perron, the symbol of local autonomy, in 1478 after the end of Burgundian rule. 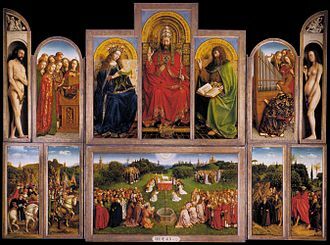 The Ghent Altarpiece (interior view) by Hubert and Jan van Eyck, painted 1432. Saint Bavo Cathedral, Ghent, Belgium.